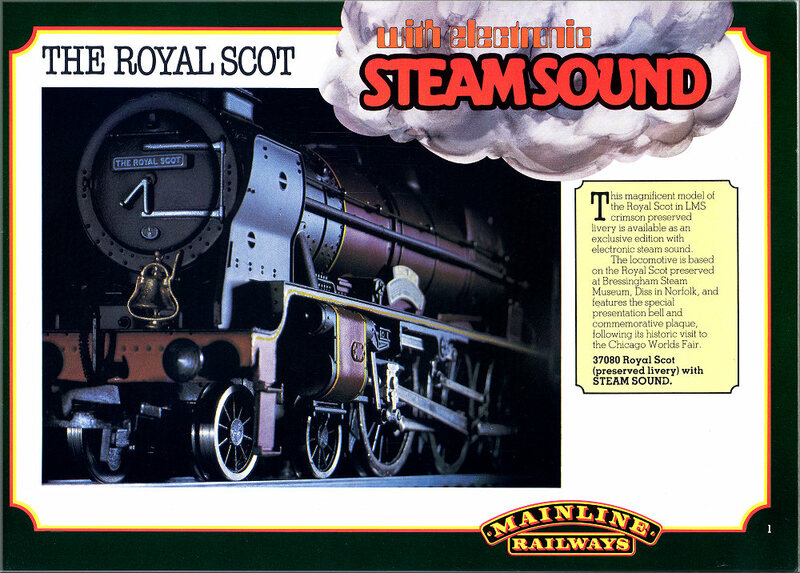 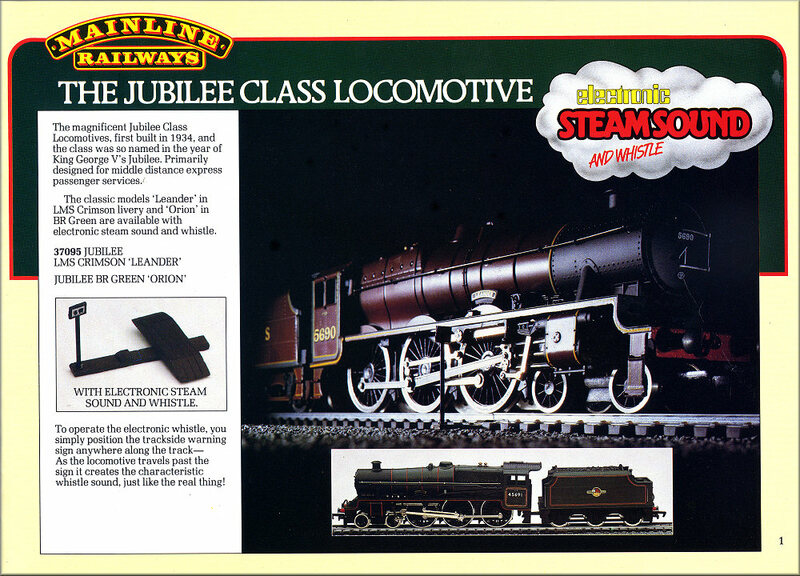 Introduced in 1980 were the Steam Sound module fitted locomotives, in the two Royal Scot Sets. 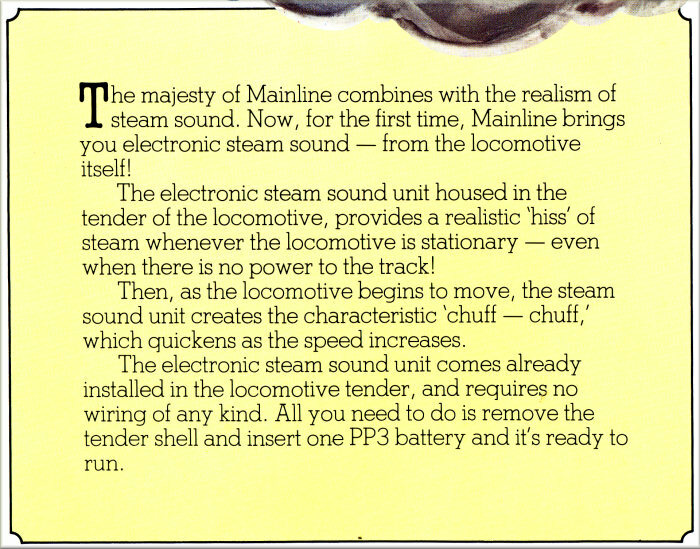 This module produced steam engine sounds and was powered by a battery in the Tender. 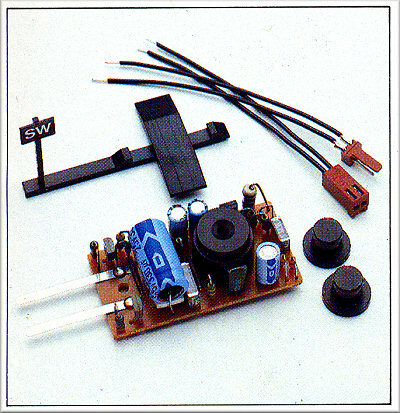 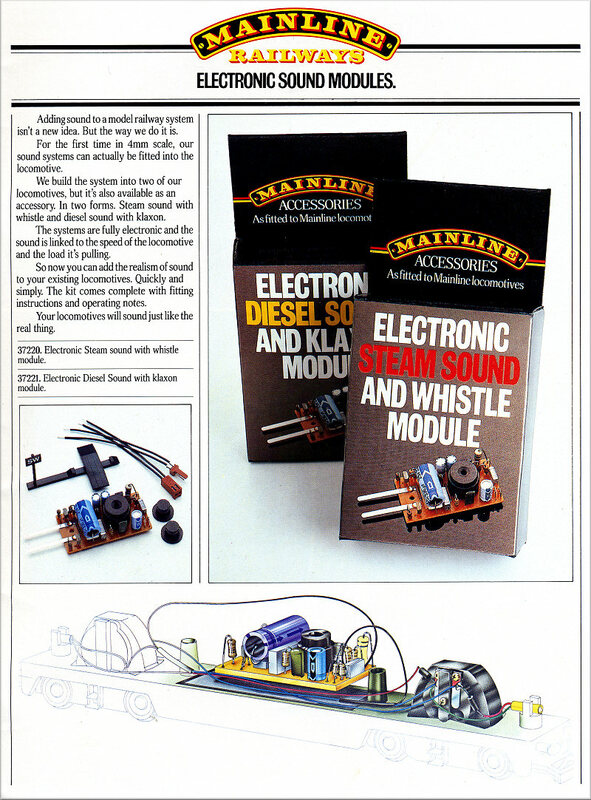 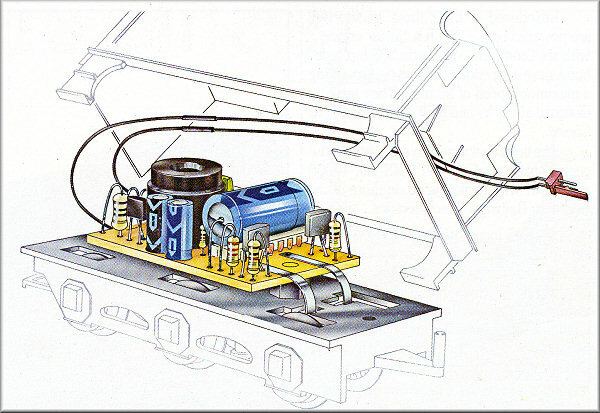 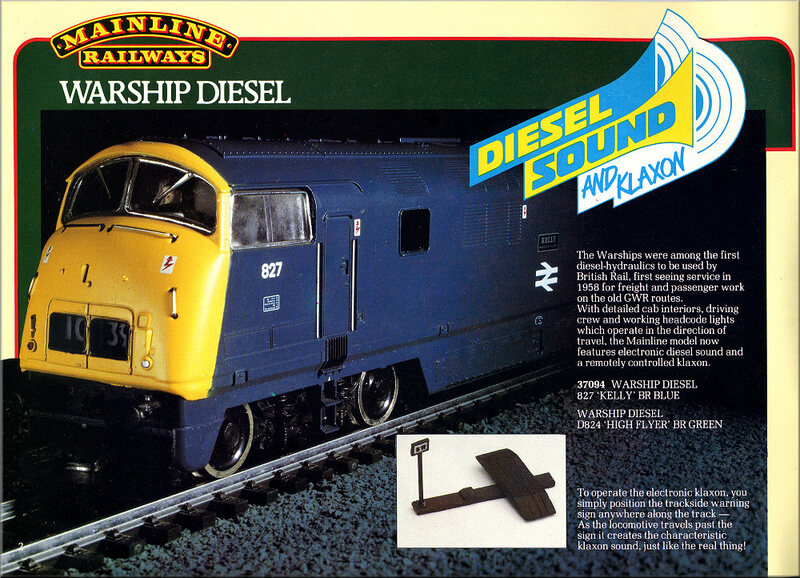 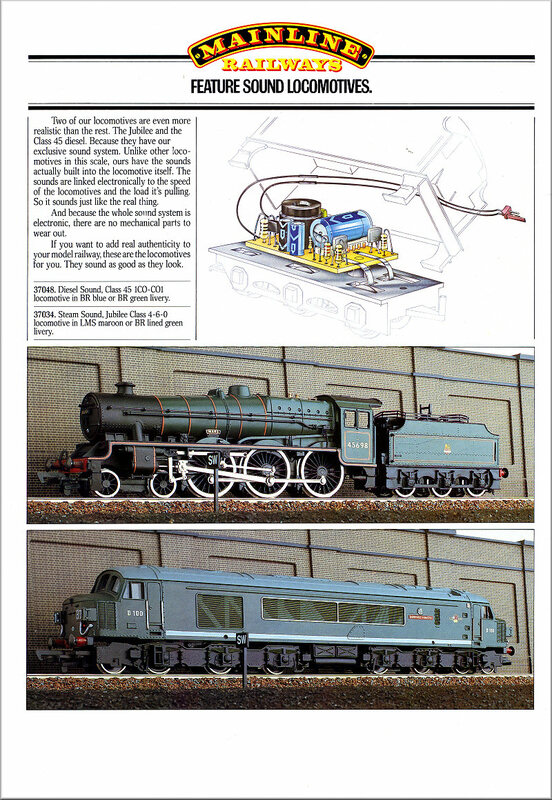 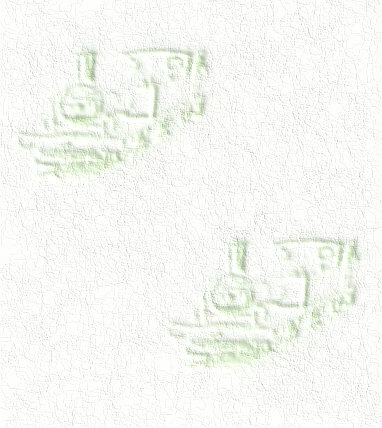 The two later modules introduced in 1981 were for Diesel and Steam Locomotives and produced not only Locomotive sounds but Whistle and Klaxon noises triggered by a ramp in the track. 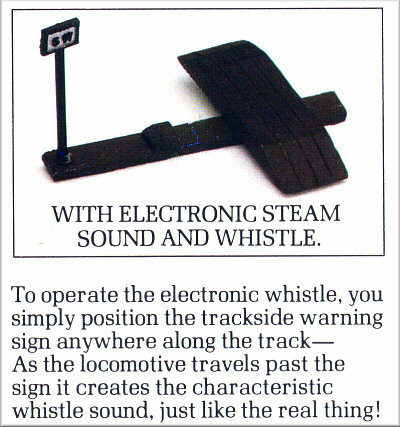 They picked up their power from the track, no battery was needed.